This family-run, 4-star hotel is situated close to the heart of Düsseldorf, in a central and quiet location near the Volksgarten park. 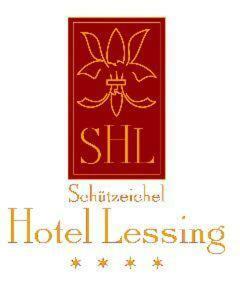 Hotel Lessing offers comfortable accommodation within a 10-minute walk of Düsseldorf’s main railway station. It is also within easy walking distance of the Königsallee shopping boulevard and the attractions of Düsseldorf’s Old Town. Thanks to the nearby tram and train stops, the hotel offers excellent public transport connections to all parts of Düsseldorf. You can easily get to the Old Town, airport LTU-Arena (venue for concerts and sporting events) and the airport from here. The Hotel Lessing provides a free ticket for guests to use Düsseldorf’s public transport network for the duration of their stay. The hotel also has its own fully-equipped conference and seminar centre where you can host all kinds of business events. You can also easily get from the hotel to the exhibition centres of Düsseldorf, Essen or Cologne. Guests staying in the Hotel Lessing enjoy free wireless internet access, and free laptop rental (subject to availability). You can also borrow a DVD player, Playstation 3, boules, bicycles or various board games. Relax after your day's business or sightseeing in the hotel's own sauna.